Give yourself the gift of The Finance 202 in your inbox for Thanksgiving. It's worth it. Here’s one way to tell whether a tax code rewrite is headed in the right direction: Corporate lobbyists should be whining that their private breaks are getting squeezed too hard, and economists should be cheering because the trashing of those preferences is paying for lower overall rates that could fuel new growth. Neither of those things is happening. And the Republican push to overhaul the code is far enough along that it’s raising alarms from economists across the country. The latest came Tuesday, when only one of 42 top economists surveyed by the Initiative on Global Markets at the University of Chicago Booth School of Business thought the tax proposals moving through Congress would meaningfully expand the economy over a decade (22 disagreed or strongly disagreed, 15 were uncertain and the rest didn't answer). And none of those economists, a sampling spanning the ideological spectrum, disagreed the measures would leave the nation saddled with a substantially heavier debt load relative to the size of the economy. Although the legislation would increase incentives to save and invest, it would also substantially increase budget deficits unless offset by spending cuts. Higher deficits would push up interest rates, which would tend to discourage investment. Thus, while the plan would initially increase investment, we estimate that rising interest rates would eventually negate the incentive effects of lower tax rates on capital income and decrease investment below baseline levels in later years. Meanwhile, corporate lobbying around the debate — typically a bench-clearing brawl on K Street, because the tax code reaches into everybody’s pockets — has been weirdly subdued. That’s in part by design, as congressional Republican leaders have sought to speed the measures through the process to stymie organized opposition: Many vested interests have had difficulty modeling the impact of complex new provisions on their bottom lines in time to register their views before key votes. But the relatively muted response also reflects a C-suite complacency toward proposals roundly judged good enough. Indeed, both the House and Senate bills amount to net wins for businesses. The Senate version offers $2.2 trillion in business tax cuts for $1.5 trillion in business tax increases, a $700 billion windfall, according to an analysis released Friday by the Committee for a Responsible Federal Budget. That study showed the House version is even more generous, handing businesses a $1.1 trillion net tax cut. The last major rewrite of the code, enacted in 1986, succeeded despite unleashing a maelstrom of corporate resistance, because it used increased revenue from the corporate side of the code to make up for decreased revenue from individual taxpayers. Economists still debate the legacy of that law. The update now taking shape in Congress tips the code in the opposite direction, explaining the corporate quiescence. But the near-consensus view from economists of all stripes that it won’t achieve its organizing goal flashes a warning signal to the lawmakers aiming to enact a desperately sought accomplishment before the midterm elections. PROGRAMMING NOTE: The Finance 202 will not publish on Nov. 23-24. We’ll be back in your inbox on Monday, Nov. 27. Happy Thanksgiving! — Yellen unwinds. NYT's Binyamin Appelbaum: "Janet Yellen, the Federal Reserve chairwoman, made a relaxed appearance at New York University on Tuesday night, answering questions about her life in economics and her time at the Fed one day after she announced plans to leave the central bank next year. Ms. Yellen said nothing new about the Fed’s policy plans for the coming months, leaving unaltered the widespread expectation that the Fed will raise its benchmark interest rate in mid-December. Instead, Ms. Yellen entertained the audience with her description of her first day at the Fed almost four years ago, and a firsthand report on the typical topics of conversation at her dinner table. 'We do have a heavier dose of economics in our diet than some might find appetizing,' she said." Predicts inflation rebound. Reuters: "Yellen stuck by her prediction that U.S. inflation will soon rebound but offered on Tuesday an unusually strong caveat: she is 'very uncertain' about this and is open to the possibility that prices could remain low for years to come. A day after announcing her retirement from the U.S. central bank, planned for early February, Yellen said the Fed is nonetheless reasonably close to its goals and should continue to gradually raise interest rates to keep both inflation and unemployment from drifting too low." 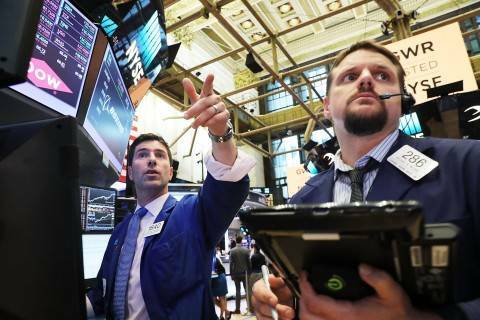 U.S. stocks rose to record highs on Tuesday as a rally in tech lifted the broader market. America's unemployment rate has plummeted from 10% during the Great Recession to 4.1% today. Goldman Sachs thinks it's headed to the lowest level in half a century thanks to the accelerating economy. 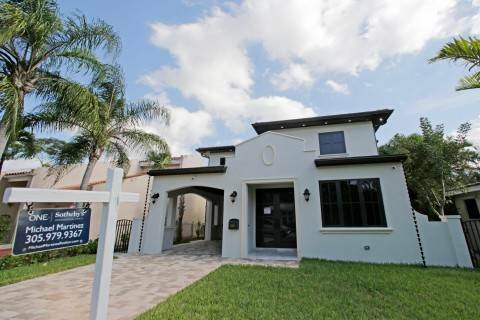 Americans bought more homes last month, as sales snapped back in hurricane-hit Texas and Florida. Yet the market is still suffering from a dwindling supply of available homes. Sales rose 2 percent in October to a seasonally adjusted annual rate of 5.48 million, the National Association of Realtors said Tuesday. That’s the fastest pace since June. 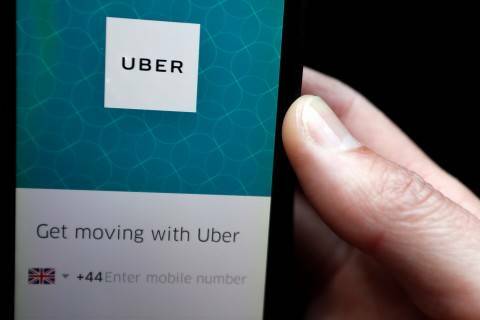 Uber Technologies on Tuesday revealed it paid hackers $100,000 in an effort to conceal a data breach affecting 57 million accounts last year. 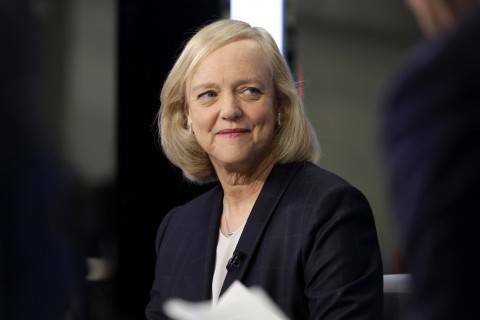 Meg Whitman will step down as chief executive of Hewlett Packard Enterprise early next year, the company said Tuesday. — Rand likely to support tax plan. CNN's Lauren Fox: "Sen. Rand Paul, a Kentucky Republican, will 'likely support' the GOP's Senate tax bill, a Paul aide told CNN in an email Monday. The news marks a sign of progress for the GOP leadership and President Donald Trump, who can afford to lose only two members of the party and still pass their bill in the Senate along party lines... Paul, like a few other conservatives in the Senate, had been pushing leadership to include a repeal of the Obamacare coverage individual mandate in the tax bill. With the individual mandate repealed in the tax bill, his aide told CNN, Paul is leaning toward supporting the bill." — Murkowski sounds more comfortable, too. The Post's Damian Paletta: "Sen. Lisa Murkowski (R-Alaska) said she would support repealing the Affordable Care Act’s individual insurance mandate, giving a potential boost to the Republican effort to pass a massive tax cut package next week. 'I believe that the federal government should not force anyone to buy something they do not wish to buy, in order to avoid being taxed,' Murkowski wrote in an opinion piece published Tuesday by the Fairbanks Daily News-Miner. Senate Republicans’ plan to rewrite the tax code includes a provision to repeal the individual mandate, a part of the 2010 health-care law that requires almost all Americans to have some form of health insurance or pay a fine. Murkowski was careful, however, to stop short of saying she would vote for the Senate GOP tax plan. She instead focused the entire op-ed on her views about the Affordable Care Act, emphasizing how Alaskans had paid $21 million in penalties under the law in 2014 and 2015 for failing to purchase health insurance. She wrote that 'eliminating this tax would allow Alaskans to have greater control over their money and health care decisions.'" The White House, though, had begun signaling its worries about the policy consequences of a victory by Mr. Jones. Kellyanne Conway, the counselor to the president, said on Monday on Fox News that Mr. Jones could not be counted on to support the tax changes that Mr. Trump is trying to push through Congress. 'Doug Jones in Alabama, folks, don’t be fooled,' she said. 'He will be a vote against tax cuts. He is weak on crime. Weak on borders. He is strong on raising your taxes. He is terrible for property owners.' Asked whether that meant that the White House was urging a vote for Mr. Moore, Ms. Conway said, 'I’m telling you that we want the votes in the Senate to get this tax bill through.'" — Senate releases text. Bloomberg's Sahil Kapur: "The Senate released the 515-page text of its sweeping tax legislation for the first time Monday evening -- and Republican leaders plan to hold a floor vote on it within 10 days. That short span reflects an unusually fast process in both chambers, said William Galston, a senior fellow in governance studies at the Brookings Institution, a Washington-based policy group. The House passed its tax bill 14 days after releasing its text. '"Unusually fast" understates how remarkable this legislative process is,' Galston said. 'One reason these bills are going through so quickly is they’re primarily about tax cuts and only secondarily about tax reform.”' The last time that Congress rewrote the tax code, in 1986, “the actual legislative deliberations over the bill stretched out over months -- and it was a good thing,” he said." — Wall Street loopholes all over. Bloomberg's Zachary Mider: "Lawmakers who sped a bill through the U.S. House last week may have handed a few more goodies to Wall Street’s wealthiest than they realize. Investors in billion-dollar hedge funds might be able to take advantage of a new, lower tax rate touted as a break for small businesses. Private equity fund managers might be able to sidestep a new tax on their earnings. And a combination of proposed changes might allow the children and grandchildren of the very wealthy to avoid income taxes in perpetuity. These are some of the quirks that tax experts have spotted in the bill passed by the House on Nov. 16, just two weeks after it was introduced. Whether they were intentional or accidental, it will be up to congressional tax writers to keep or revise them before a final bill makes it to President Donald Trump’s desk -- assuming both chambers can work out a compromise." — Dreamer showdown threatens shutdown. Politico's Rachael Bade and Heather Caygle: "Concern is growing in both parties that a clash over the fate of Dreamers will trigger a government shutdown this December. House conservatives have warned... Ryan against lumping a fix for undocumented immigrants who came to the country as minors into a year-end spending deal. They want him to keep the two issues separate and delay immigration negotiations into 2018 to increase their leverage — which both Ryan and the White House consider reasonable. But many liberal Democrats have already vowed to withhold votes from the spending bill should it not address Dreamers, putting Democratic leaders Rep. Nancy Pelosi of California and Sen. Chuck Schumer of New York in an awkward spot if they don’t go along. Democrats know Republicans need their votes to fund the government past the current Dec. 8 deadline, and many want Pelosi and Schumer to stand firm against the must-pass bill until leaders save the Obama-era Deferred Action for Childhood Arrivals program... For now, both Ryan and Pelosi are falling in line with the more combative wings of their parties." — House Financial Services gavel up for grabs. Bloomberg's Elizabeth Dexheimer: "In the fractious U.S. capital, everyone can agree on this: Being chairman of the House Financial Services Committee is a cushy gig. With Jeb Hensarling’s term ending, the position will be up for grabs in January 2019 for the first time in six years. A back-bencher can only fantasize about the power, influence and access to money the job brings. House Republicans have begun to jockey for a shot at the gavel. Of course, their struggle would be fruitless if the Democrats wrestle away control of the House in the 2018 mid-term elections, a greater possibility after their victories earlier this month. 'It’s going to be a long year,' said one of the candidates, Representative Frank Lucas of Oklahoma. The frontrunner to replace Hensarling is bowtie-sporting Patrick McHenry of North Carolina, according to some lawmakers and lobbyists. McHenry is the No. 4 Republican in the House, however, and may opt instead for a leadership position, if one is available. At this point, he’s pursuing both... That means other likely candidates can dare to dream. They include, by their own admission, Oklahoma’s Lucas, California’s Ed Royce, Peter King of New York and Missouri’s Blaine Luetkemeyer. Bill Huizenga, from Michigan, and Wisconsin’s Sean Duffy, a former reality TV star, are also possible contenders. The list will likely change and grow in the next year." — FCC sets up win for telecoms. WSJ's John D. McKinnon and Ryan Knutson: "Federal regulators’ plans for dismantling Obama-era open-internet rules would clear the way for a range of new deals between internet-service providers and online media and other services, in a victory for cable and wireless firms. The proposed changes—outlined Tuesday by Federal Communications Commission Chairman Ajit Pai —already were sparking a lively debate over potential impacts on the internet as well as online businesses and consumers. Under Mr. Pai’s proposal, internet providers such as Comcast Corp., Verizon Communications Inc., Charter Communications Inc. and AT&T Inc., would be able to form alliances with media and other online firms such as Facebook Inc. to offer web services at higher speeds and quality. They also wouldn’t be barred from slowing rival services to encourage greater use of the website that is paying them, provided such arrangements are disclosed... The new FCC rules are expected to be approved at a commission meeting in mid-December." 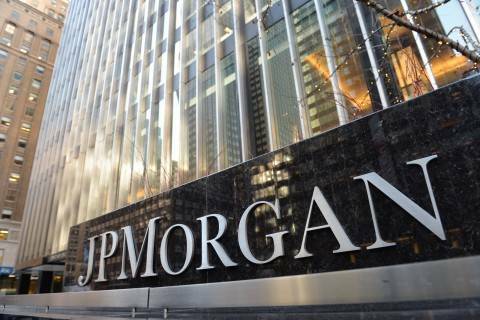 The Financial Industry Regulatory Authority said on Tuesday it fined JPMorgan Chase & Co's securities division $1.25 million for failing to conduct adequate background checks on 8,600 employees, including four people whose criminal convictions automatically disqualified them from working there. It was the first time Mr. Trump has publicly discussed the transaction since he has been in office, although Mr. Trump vowed to block the transaction when he was campaigning for the White House, saying it concentrated too much power. The Justice Department filed a lawsuit on Monday alleging that the combination of AT&T’s giant wireless and satellite businesses with Time Warner’s popular cable programming would give the merged firm the power to hinder competitors and innovation." Trump's motive is questionable but may not matter. The Post's Callum Borchers: "Christopher S. Yoo says the Justice Department's argument against AT&T's proposed acquisition of Time Warner is weak. Rebecca Haw Allensworth contends that the Trump administration has a legitimate complaint. But these antitrust lawyers with contrasting views of a lawsuit filed by the government Monday agree that President Trump has created an appearance of bias by publicly stating his opposition to the deal and frequently trashing 'fake news' CNN, one of Time Warner's most visible properties. Yoo and Allensworth also agree that Trump's questionable motive — while a bad look — might not matter in court. 'Antitrust law largely ignores motive,' said Yoo, a professor at the University of Pennsylvania Law School. 'In the antitrust context, it would be completely unusual' to consider motive, concurred Allensworth, a professor at Vanderbilt Law School. Thus, we have a situation in which the president has introduced doubts about his administration's objectivity but might pay no price for doing so." Tech firms wary. The Post's Craig Timberg: "Whatever the stakes in that merger fight, more aggressive federal enforcement of antitrust laws may not prove to be good news for tech giants that have grown wildly profitable over the past decade as they’ve squashed some rivals while gobbling up others. Many of those acquisitions faced government review but ultimately were permitted in an era when federal officials drew criticism for not more forcefully challenging burgeoning monopolies. If antitrust enforcement is taking a more aggressive turn under the Trump administration, such companies could find themselves in the government’s sights, say experts." — NAFTA talks stall. Reuters's Anthony Esposito and Adriana Barrera: "The United States, Mexico and Canada failed to resolve any major differences in a fifth round of talks to rework the NAFTA trade deal, drawing a swift complaint from the Trump administration on Tuesday that the lack of progress could doom the process. The three nations have vowed to continue talks... through March, but the yawning disagreements on core U.S. demands are piling pressure on negotiators to come up with fixes before Mexico’s 2018 presidential campaign begins in the spring. Much friction centered on Mexican and Canadian rejection of a U.S. proposal to raise the minimum threshold for autos to 85 percent North American content from 62.5 percent as well as to require half of vehicle content to be from the United States." — Treasury imposes new North Korea sanctions. Politico's Patrick Temple-West: "The Treasury Department on Tuesday imposed new sanctions targeting North Korea, stepping up pressure on the regime to abandon its nuclear development program. The sanctions come a day after the Trump administration designated North Korea a state sponsor of terrorism, adding the hermit state to a list that includes Iran, Sudan and Syria. North Korea was previously added to the list of state sponsors of terrorism in 1988 and removed from it in 2008 amid nuclear negotiations spearheaded by former President George W. Bush. The new sanctions imposed by Treasury's Office of Foreign Assets Control include one Chinese individual, 13 entities and 20 boats. The sanctions include three Chinese companies that Treasury said have exported about $650 million worth of goods to North Korea and $100 million from the country. 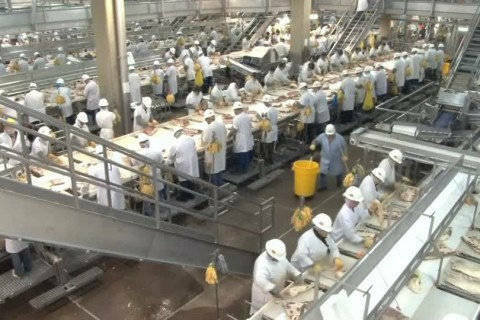 These goods have included notebook computers, anthracite coal, iron, lead and other products, Treasury said." — Mueller focuses on Kushner's foreign leaders. WSJ's Peter Nicholas, Aruna Viswanatha and Rebecca Ballhaus: "Robert Mueller’s investigators are asking questions about Jared Kushner’s interactions with foreign leaders during the presidential transition, including his involvement in a dispute at the United Nations in December, in a sign of the expansive nature of the special counsel’s probe of Russia’s alleged meddling in the election, according to people familiar with the matter. Israeli officials said at the time that they began reaching out to senior leaders in Mr. Trump’s transition team. Among those involved were Mr. Kushner and political strategist Stephen Bannon, according to people briefed on the exchanges. The White House referred questions to Mr. Kushner’s attorney, Abbe Lowell, and to a White House lawyer. The motivation for the Mueller team’s questions about the U.N. is unclear." According to the Post article, the United Arab Emirates brokered a secret meeting in the Seychelles between Prince and an ally of Putin just nine days before Trump’s inauguration. The Post also reported that the meeting was part of a range of contacts between Trump associates and the Russian government under investigation by federal authorities." From The Post's Aaron Blake: "A report shows the Senate GOP tax bill ultimately raises taxes on 50 percent of people. That’s a problem." The American Enterprise Institute holds an event on tax reform with House Ways and Means Committee Chairman Kevin Brady (R-Tex.) on Nov. 28.